Carried by specially trained stormtroopers, British troops first faced this terrifying weapon in battle near Malancourt in 1915. This weapon was brutal in nature — three or four Flammenwerfer stormtroopers would surround a pillbox or assault a trench from 30–40 feet away. This weapon also had a psychological effect as many troops would simply surrender when they saw one on the battlefield. 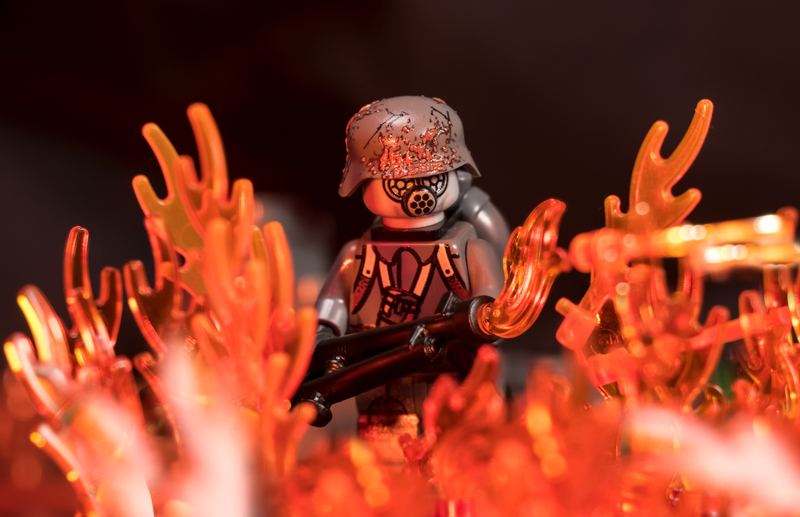 Artwork for the WWI German Flame Trooper is designed by Lando and printed by the talented Brickmania UV Print Team!